It seems like everyone is gigging. We all know a rideshare driver, an Etsy shop owner, or a freelance writer or artist. 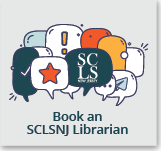 In response to County needs, the Somerset County Library System of New Jersey (SCLSNJ) continues their dedication to the evolving business professional in 2019, with resources and programs that focus on the gig economy, millennials, social media marketing, and more. The gig economy refers to short-term jobs, also known as gigs. According to Forbes magazine, as of 2018 the gig economy represented 34 percent of the U.S. workforce. This trend is expected to continue to grow in 2019 and beyond. Library cardholders can plan to reserve a new gig-focused business kit in the spring of 2019. The Gig Economy kit will feature a range of materials including curated books, a topical magazine, and other timely resources. In addition to new titles in the collection and the Gig Economy kit, SCLSNJ will offer programs to help prepare small business owners and entrepreneurs for new and existing trends in 2019. Explore how to use Facebook more effectively to develop relationship marketing and grow your business with social media expert Kim Pearlstein. February 27, 7-8 p.m. at SCLSNJ’s Hillsborough Library branch, located at 379 South Branch Road in Hillsborough. Register: sclsnj.libnet.info/event/1074829. 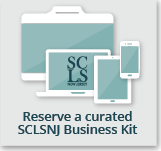 Explore SCLSNJ’s business resources, including: business resources, online learning such as Lynda.com, business kits available for checking out, and more. Light refreshments will be provided. 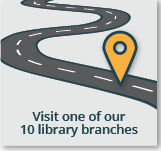 March 9, noon – 1 p.m. at SCLSNJ’s Somerville Library branch, located at 35 West End Avenue in Somerville. Register: sclsnj.libnet.info/event/1234806. Certified Success Coach Karen C. Auld will explore the steps recommended in developing your transition plan to self-employment. March 19, 7-8:30 p.m. at SCLSNJ’s Warren Township Library branch, located at 42 Mountain Boulevard in Warren Twp. Register: sclsnj.libnet.info/somerset/event/1336064. Discover why hiring the right millennial is essential to building a successful team. 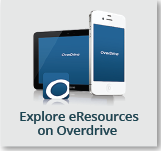 April 2, 8:30-10 a.m. at SCLSNJ’s Hillsborough Library branch, located at 379 South Branch Road in Hillsborough. Register: sclsnj.libnet.info/event/1156920. Gain a practical understanding of marketing research techniques and tools with Joseph Lamberti, training and technical assistance officer at UCEDC. May 14, 6-8 p.m. at SCLSNJ’s Mary Jacobs Memorial Library branch, located at 64 Washington Street in Rocky Hill. Register: sclsnj.libnet.info/event/1155141. Explore common myths and truths about franchising, government regulations for franchises, the importance of knowing your personal goals and objectives before taking the plunge, how to finance your business, and links to resources available before, during, and after your selection process. June 6, 7-8:30 p.m. at SCLSNJ’s Bridgewater Library branch, located at 1 Vogt Drive in Bridgewater. Register: sclsnj.libnet.info/event/1198974. New and existing entrepreneurs and small business owners, bring your laptop or tablet along to get an intro to and assistance with Gale Small Business Builder – a step-by-step online planning tool for starting, managing, and optimizing a business or nonprofit. June 17, 6-7 p.m. at SCLSNJ’s Manville Library branch, located at 1 Vogt Drive in Bridgewater. Register: sclsnj.libnet.info/event/1275824. 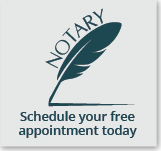 For more information about SCLSNJ’s business services: SCLSNJ.org.